Thanks to the VMware Storage Appliance (VSA), provided free with some license bundle or kit, now even limited budget customers can have access to features like VMotion or HA. Until now an external shared storage, was the condition to be able to use these features. 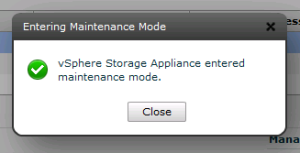 Installation and management are integrated into vSphere and are simplified compared to an enterprise-class storage. Nevertheless, some simple operations require some extra attention. 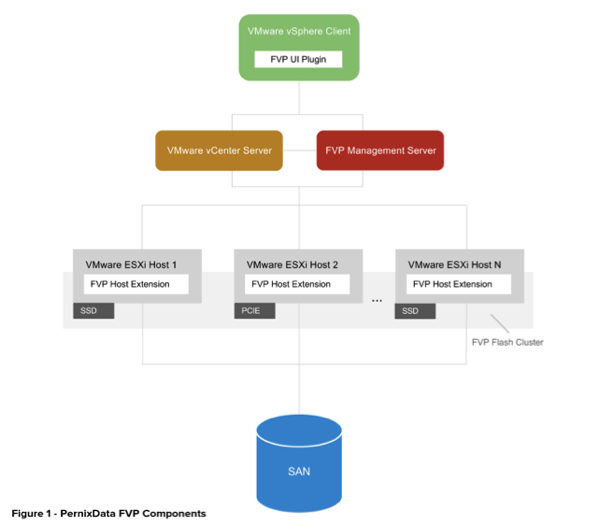 With this short article I want to draw attention to the “maintenance mode” operation of a single host of a HA/VSA cluster. Replacement of any defective component for example, or simply to add more RAM. I am referring to all those operations that require the shutdown of the host. 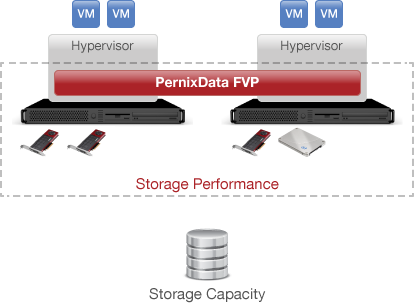 In a classical shared storage context, you simply migrate the VMs on other hosts before enter in the maintenance mode and shutdown the physical server. VSA introduce some more steps in the sequence, that I will list below. 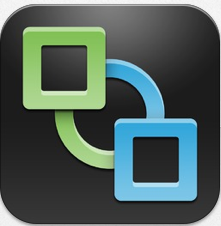 I want to remember that the VSA is a VM that runs on each cluster node, up to three hosts. Migrate the all the VMs from the host. 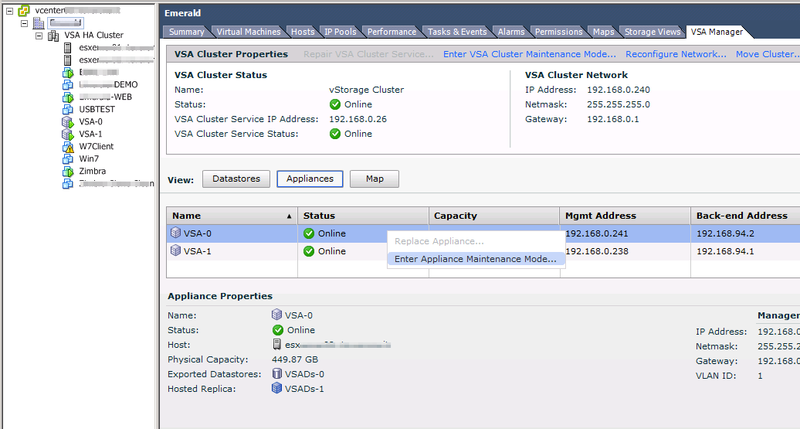 Right-click the VSA cluster member that you want to place in maintenance mode and select “Enter Appliance Maintenance Mode”. Click YES at next screen. After a while we will see the following message. Click “Close”. Now we can see the VSA cluster status. One of the VSA appliance will be “offline”. Only at this point we can put the server in “maintenance mode” and shut it down. When the maintenance operation on the host are completed and after turning on the server we need to exit the host from the “maintenance mode”. Now you need to power on the VSA. After a while, right-click the VSA cluster member again and select “Exit Appliance Maintenance Mode”. Now we have to wait for the appliance synchronization. 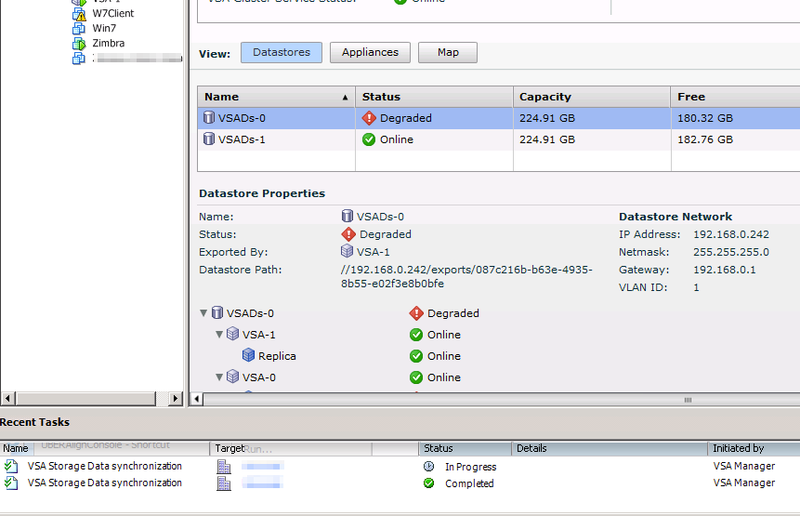 As long as the sync will not be complete, the VSA cluster will display status “Degraded”. When the synchronization is done, you need to remember to acknowledge and delete all the alarms. With this last operation you have completed the maintenance activities on the VSA/HA cluster.